Cons: No hand pockets, separate stuff sack - don't lose it! The Montane Minimus is an exceptional ultralight rain jacket with the price tag to match. The Minimus offers more ventilation than the other ultralights we tested and with more reflective markings all around, it is the best ultralight rain shell for bicycling or road running, when being seen in poor visibility is key. Our Editors' Choice winner, the Marmot Essence, edged out the Minimus in overall scores with better water resistance and breathability. If you're looking for something more affordable and also fully-featured, our Best Buy winner, the Marmot PreCip, is a solid, versatile rain shell at half the price of these two ultralight models. This jacket is a high performance ultralight rain shell, with ventilation via a large, mesh-lined chest pocket. The velcro on the cuffs, asymmetrically cut sleeves, and a large moldable hood brim are all features that set it apart from the other two ultralights we tested. It also has a higher retail price. Rocking the Montane Minimus rain jacket and the Sportiva ECO boot on a quick jaunt around Grays and Torreys. The moldable brim along the stiffened section on this jacket's hood really keeps out the rain. The Minimus uses a waterproof main zipper with an additional storm flap behind, but the large chest pocket zipper is not waterproof and allowed a bit of water to leak in when we wiggled around in the shower. We did score this jacket higher in water resistance than the similar Outdoor Research Helium II and Marmot Essence, primarily due to the Montane's wrist cuffs. Having the ability to tightly close the wrist cuffs is of major benefit when it's pouring down and you're working with your hands. Finally, the DWR treatment on this model beads water like a champ and didn't noticeably change during our months of testing. The Minimus is built with one of the more breathable 2.5-layer fabrics out there: Pertex Shield+. During some pretty quick trail miles it was doing ok avoiding the steamy feel, but then we zipped open the large mesh-lined chest pocket and really felt some relief. When open, it acts as a large core vent and allows air to really flow in, especially when you are running. Loosen the wrist cuffs and this jacket has better ventilation than the other ultralight models. A moldable stiffened brim and multiple cinch cords create a great hood. Here you can see the attached zipper pull, super nice for gloved hands. Montane managed to include lots of little comfort features while building this ultralight shell. The moldable hood brim and the elastic cinches create a comfortable, easy-to-adjust hood that also moves easily with the body. A micro-fleece patch at the chin, a Velcro tab for rolling away the hood, and a hang loop round out unexpected ultralight features. Montane didn't cut any corners cut in ease of use: the zipper pulls are top notch and the hem elastic adjusts one-handed one either side. The fit of this jacket is very athletic; it fit the snuggest of all the size large jackets we tested. This cut allows for great mobility since the form fitting torso stays put when reaching overhead. Snug and form-fitting, this is an excellent cool weather running jacket. The Minimus weighed in at eight ounces even, about two ounces heavier than the other two ultralight models we evaluated. With these two ounces, this jacket adds ventilation via the large chest pocket and better water resistance due to the Velcro wrist closures. We were impressed with how well this jacket stood up to scuffing when we wore it climbing granite cracks; however, its light nylon ripstop face fabric will wear relatively quickly compared to more burly fabrics, like the polyester face found on the Marmot Minimalist or Outdoor Research Foray. This jacket is tiny when stuffed into the separate mesh sack it comes with. It is nearly as small as the Helium II, and easy to stash in small packs. That said, we're not huge fans of separate stuff sacks for stowing since they are easy to lose. The great thing about a jacket stuffing into its own pocket is that you can't lose the pocket. This model packs down super small, but not in its own pocket. We didn't lose the small mesh stuff sack during our testing, but we came close when it nearly blew away. The Montane's hood is impressive for a minimalist jacket. The brim has both a small stiffened section and a moldable brim. Two elastic cinch cords - one around the face and one on the rear of the hood - provide lots of adjustment with exterior cord locks. A Velcro tab and a patch on the back of the hood let you roll it away. The collar has both a micro fleece chin patch and a hang loop at the back. There are no pit zips or hand pockets, but the large chest pocket lined with mesh doubles as a substantial chest vent. The wrist cuffs have no elastic but a simple, effective Velcro tab. The elastic hem cinch has cord locks on both sides. Several reflective patches on the back and upper arms of the jacket provide 360 degree visibility. This model has a convenient Velcro strap for rolling and securing the hood. The large chest pocket provides core ventilation, and the adjustable wrist cuffs seal out running water. Because this jacket packs down so small, it's a great just-in-case layer that takes up next to no space. The large chest pocket, aka core vent, and reflective patches make it a great everyday jacket for running or biking. This was also one of our favorite two jackets for rock climbing and ridge running adventures. This jacket rings in at twice the cost of the Best Buy Award winning Marmot PreCip. While the budget conscious will look elsewhere, this jacket boasts a unique set of comfort features for an ultralight rain shell and adjustable cuffs to seal out water at the wrist. If comfort features and ventilation are what you desire in a ultralight shell, the Montane Mimimus is an exceptionally designed jacket. With its all around reflective patches and core vent pocket, it's perfect for running and bicycling visibility. Chris McNamara above the Moke with the Minimus. It is normally considered a rain jacket but we use it as an ultralight backcountry skiing/snowboarding jacket as well. Amazon $148.15 - 38% off! 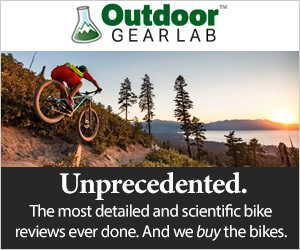 Backcountry $179.97 - 25% off!